Please note: If you have a chronic medical condition such as chronic kidney disease or have other medical conditions, you may have given up on exercise altogether because of your difficulty with movement. You may have trouble with your joints, fatigue from anemia, or deconditioning that make exercise difficult. I have heard this many times. We feel it important that you appreciate that there are more intensive exercise recommendations out there that we all want you to strive for. That said, let's go one step at a time, shall we? 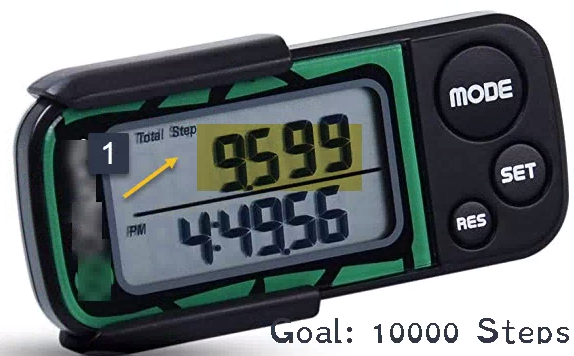 First hit a target goal of 10,000 total steps. Then you can go for intensity. If you do too much too fast you may hurt yourself and your latest attempt at daily exercise may fail. Our method of step attainment is very simple. Our goal is to avoid getting bogged down in computer technology such as syncing with an app, measuring stride lengths, calculating mileage, and spending as little money as possible. This medical blog will also avoid most of the whys. You know that exercise is good for kidney and overall medical health. There are plenty of articles out there that explain the reasons for exercise. This blog is about how you might achieve the 10,000 steps. So let's get started. First step: Purchase a pedometer. Buy one that will record your steps accurately. I have purchased wrist pedometers that miss the steps I take because I was not not moving my arms. For example, at the grocery store when you are pushing a cart, you are walking but the pedometer is not recording because your wrists are not swinging. Purchase a pedometer that you can attach to your waste or put in your pocket or purse. These fitness trackers are not expensive and can be purchased for 5 to 20 dollars. These walking devices will accurately record the steps you take. Some devices measure your heart rate and require you to wear the device on your wrist. You may be a person who requires this technology. If you are, then go for it. The majority of patients who don't exercise need to first get to the point of achieving 10,000 steps as we stated above. Heart rate assessments can come later. Moreover, some patients are on beta blockers which slow the heart rate based on the mechanism of action. If you are on one of these medications, you might have trouble getting your heart rate to the recommended range. It's now in vogue to discuss walking cadence, or steps per minute, and the health benefits associated with that. My suggestion is to remember that there is a premium upcharge cost associated with these devices. Before purchasing the latest and the greatest gadget, perhaps you might first make sure you are actually walking. 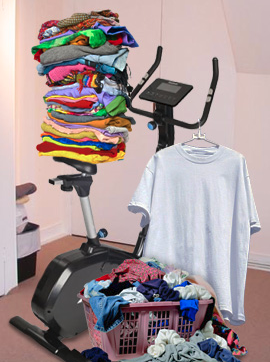 Once exercising, then up the ante to the "next step" if you wish. People usually pay between $150 to $2500 for an indoor exercise bicycle or its equivalent. Prior to spending the money, please make sure you are actually going to exercise. Perhaps starting with walking is a better option. Second step: But first a question for patrons of Michael Aaronson's medical blog. What are the average number of steps people walk in a day? Be aware that most people in the United States walk only 3,500 steps a day. Once you purchase your pedometer you need to get your baseline daily step rate. You might be surprised at how little or how much you walk in a day! Just walk as you usually do for a week to get an average count. Note that walking 2,000 steps is equivalent to walking about a mile. So your daily goal should be around 10,000 steps or ABOUT 5 miles a day. As we have stated, you can calibrate the device to your stride if you want the exact distance you walk each day. Step 3: Devise a plan to calculate how you will achieve your remaining step goal and how long it will take you to do it. Some people increase their distance 1000 steps a week until they reach 10,000 steps. Others are quicker. Some are slower. We want you to be successful. Know your limitations and your body. Rome was not built in a day. What really matters is getting to the goal and continuing to walk daily. 25 hours a day: If only every day were daylight savings in the fall, and we had an extra hour to get our steps in. You need to figure out a way to get the steps in throughout the day. 1. Pace: Those who cannot afford a gym but have some room in their apartments or homes can walk back and forth and get their steps in. Some of the patients I serve walk around the island in their kitchen listening to music, watching television, talking with their spouse, or watching video streaming. This is a creative way to achieve the goal, not get hurt, and not get bored. 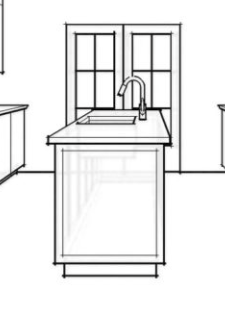 Figure: try pacing in your kitchen to get your steps in. Walk around the island. 2. Remind yourself to walk throughout the day. Reminders are not just for medication. There are ways to remember to get off the couch throughout the day and walk. 3. Go on a big box superstore walking tour. Any big box superstore will suffice. The "weather" is always nice. The stores are climate controlled. You can usually get something to drink if you are thirsty. It is cheaper than purchasing a membership at a fitness facility. You may also get your shopping done by the time you leave. Some of my patients go to one box store and then to another. The process of switching stores changes the scenery. It allows them to rest a bit. It enables people to get their steps in. Retailers love it because "shoppers" will usually purchase something at some point because they are in the store spending time. 4. Decrease your efficiency. Take the longer route. Whether it be parking farther away or sitting at the far end of the restaurant, every step matters and contributes toward the total count. 5. Take the stairs if you can. If you cannot climb steps because of bad joints, consider pacing while waiting for the elevator. 6. 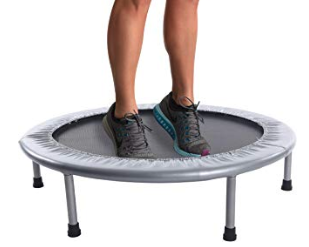 Purchase a rebounder or mini trampoline. These devices are not expensive and are a safe way to get your steps in. Similar to pacing, and designed for those with limited space, this technique allows you to get your steps in inexpensively. Try it! 7. 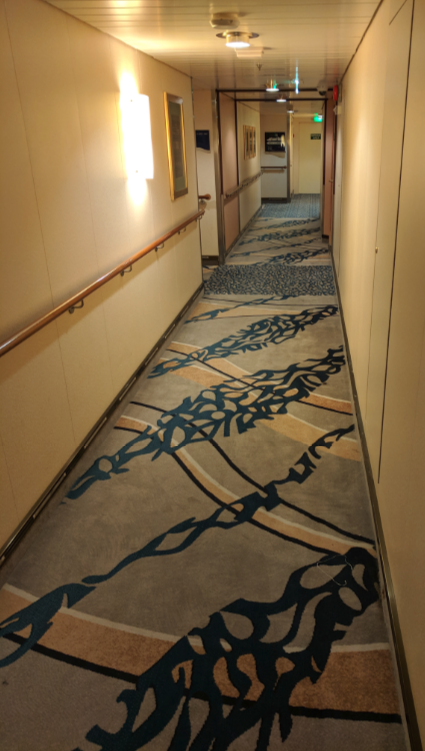 Secret tip and trick to staying fit and getting those 10,000 steps in during your vacation cruise: Walk the air conditioned hallways inside the ship. The floors are cushioned with plush carpets. There is adequate lighting. There is air conditioning so you will not get overheated. You in some cases have 10 floors to choose from including, if you wish, stairs at the front, middle, or back of the ship. Also, you have protection from the sun. And you won't be fighting for a treadmill in the fitness center with limited hours. 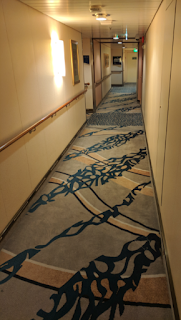 Walking inside a luxury cruise liner is a cool way to get out of the sun and get your 10,000 steps in. In conclusion, there are many ways to get your 10,000 steps every day, including during your vacation holiday. We hope we have provided you with a simplified method to achieve this goal utilizing only an inexpensive pedometer. Don't forget that you want to combine exercise with a healthy diet to keep those kidneys working!